Brief Synopsis – The story of life in Wales around the turn of the 2oth Century through the innocent eyes of a young boy. Most of the actors from this movie were unknown to me, except for a young Roddy McDowell as the main character Huw. It was definitely a pleasure watching a movie from the eyes of an innocent boy. As an adult, there are numerous themes throughout the movie that I understood on a different level than Huw did, but the movie lets us make our own assumptions as to what is really going on. This movie was directed by John Ford, who is mostly known for making Westerns starring John Wayne, but he did a great job with this movie. He won his 3rd (of 4) Best Director Oscars for this movie. This movie itself also won 4 other Oscars (5 total) including Best Picture. 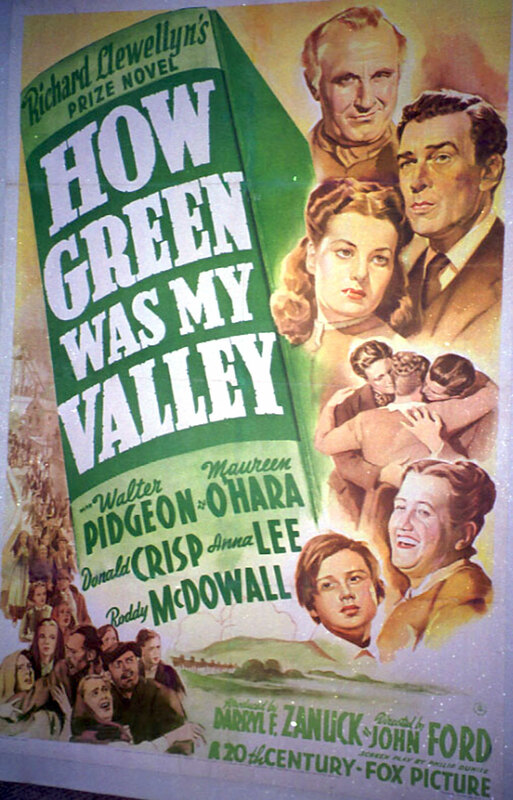 Many critics believe that this film didn’t deserve to win the top Oscar since it beat out Citizen Kane (1941). I saw Citizen Kane a few years ago and didn’t think it was as great as some people say. Maybe I’ll re-watch it in the near future and that might change my opinion, but for now, I think this movie is the better of the two. You’ve gotta remember Maureen O’Hara from Miracle on 34th Street (1947), Rio Grande (1950), or The Quiet Man (1952). I always thought she was a pretty classy actress. They are old. Easy to forget until you really start to think about them. Of course I forgot Mr. Hobbs Takes a Vacation (1962). It’s not excellent, but it’s a classic Jimmy Stewart film. I like just about all of his movies. He tries to take a vacation at the beach and he gets disturbed by his family.